Nathan MacKinnon | Clarksville Sports Network - Clarksville Tennessee's most trusted source for sports, including Austin Peay State University. 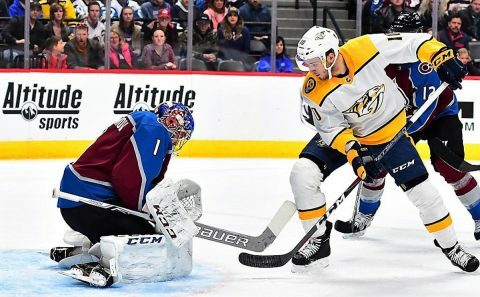 Nashville, Tn — The Nashville Predators couldn’t get head coach Peter Laviolette his 200th victory as the Nashville bench boss tonight as the Colorado Avalanche proved to be too much, winning in Nashville, 3-2. Colorado was led by Nathan MacKinnon who scored twice on the night and ended Nashville’s 11 game win streak against the Avs, and also ended Nashville’s six-game home win streak. The Predators got on the board first when Ryan Hartman scored off of a rebound to put Nashville ahead 1-0. 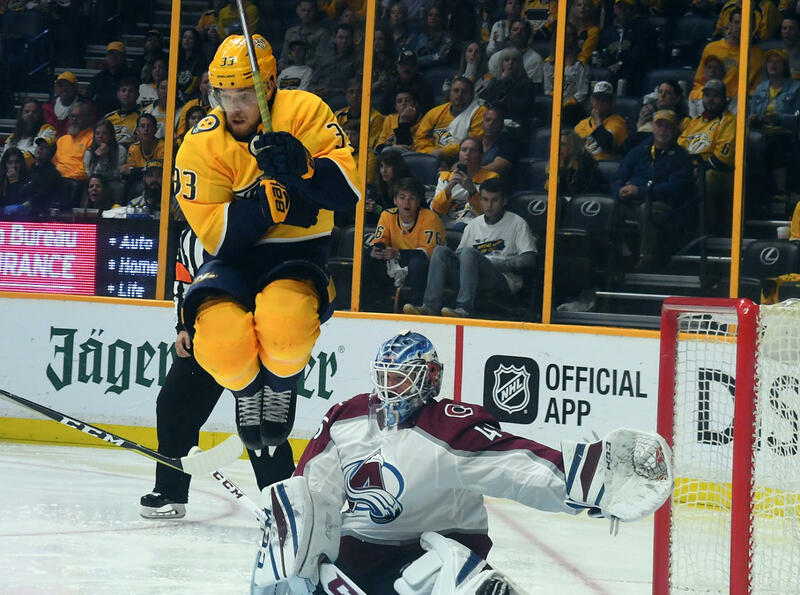 Nashville, Tn — The Nashville Predators will take flight to the high altitudes of Colorado with a commanding 2-0 series lead over the Colorado Avalanche in the Stanley Cup Playoffs, winning today, 5-4. The Predators scored by committee as five different players hit the scoreboard, but they still had to come from behind for the victory. Colorado struck first, as they did in game one, when former Predator Gabriel Bourque found the back of the Nashville net just 2:34 into the game and Colorado took the early lead, 1-0. 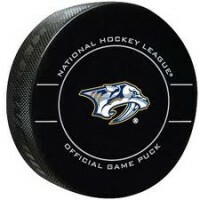 Clarksville, Tn– The Nashville Predators became the first NHL team to clinch a playoff berth in the Stanley Cup Playoffs with a 4-2 road win over the Colorado Avalanche tonight. Colton Sissons and Filip Forsberg had two goals each to lead the Predators to the victory. This is the fourth straight 20 goal season for Forsberg and the fourth straight playoff appearance for Nashville. Juuse Saros provided the backstop for Nashville tonight, stopping 33 shots on goal. Sissons started the scoring for the Predators at 17:26 of the first period on a wrist shot that beat Avalanche goaltender Semyon Varlamov for the early 1-0 lead. Sissons was assisted on the goal by P K Subban and Craig Smith.